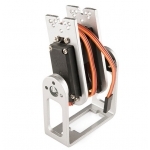 This is a pan/tilt bracket designed specifically to work with the robotic claw MKII that we sell. 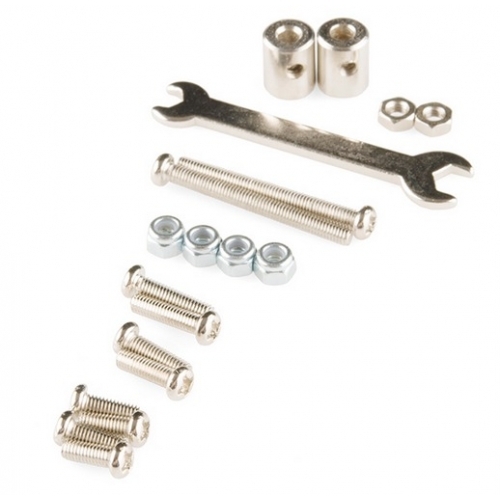 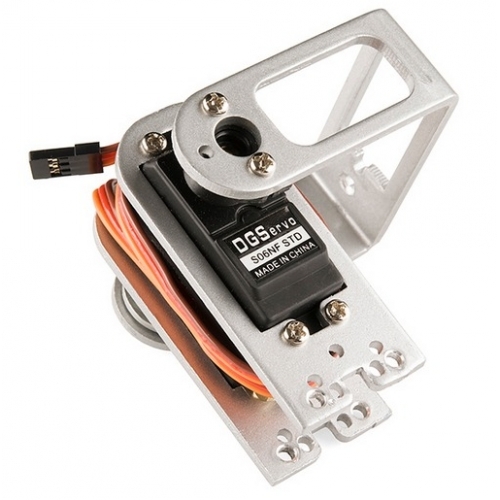 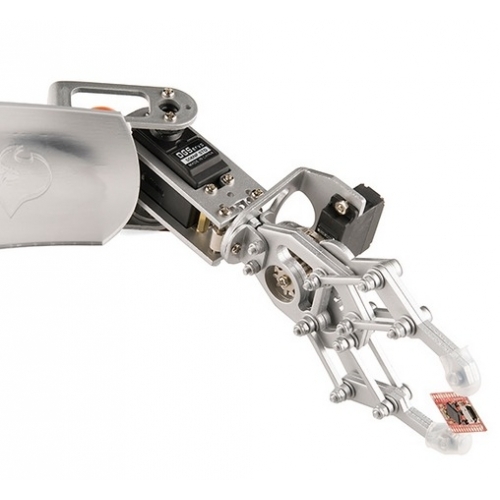 It comes with all of the hardware you need to connect it to the claw and even includes the 'tilt' control servo. 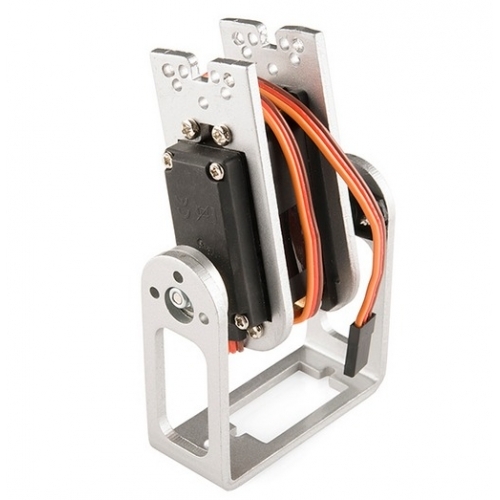 Panning can be controlled by attaching a medium servo to the bracket milled into the base of the arm; it's the same size servo that fits the robotic claw, you can find it in the related products below.